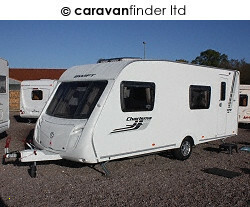 This Swift is a DEALER SPECIAL of the Charisma 570 - the actual model name of this caravan is Archway Naseby. As a dealer special the interior had specification upgrades and there is a motor mover included. This caravan is in lovely condition and has a very sought after layout. If you are interested make sure you get in touch with the Beez Team ASAP... Caravans are selling out quickly here! Call us on 01842 337180.